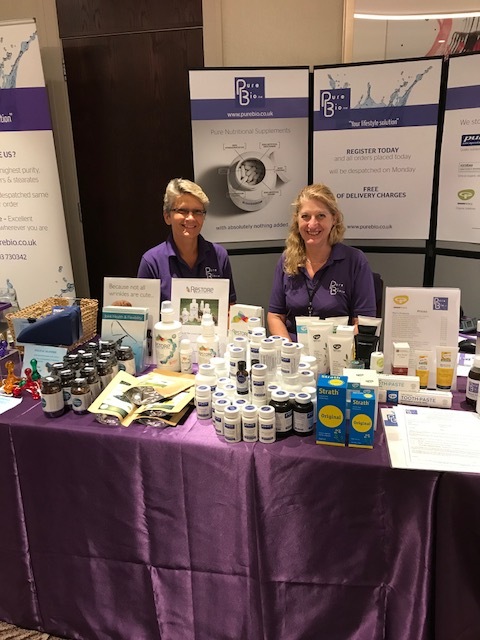 Pure Bio Ltd. was first conceived in 2001 by British healthcare practitioners with the primary aim of providing top quality products for their patients. Pure Bio has a policy of employing local people and, wherever possible, using and supporting local business. The needs and ultimate satisfaction of the individual customer are our highest priority. We stock and sell only products that have been carefully selected and scrutinized for their purity and efficacy. All products supplied by Pure Bio Ltd. will have first been tested by members of the management and / or staff. It is our aim to never allow the growth of the company to depersonalise the individual relationship between the company; the practitioners that use us; and our ever-expanding customer base. It is the belief of Pure Bio Ltd. that nutritional supplements of all forms should be taken under the guidance of an experienced physician or practitioner and we therefore accept orders only when the products have been prescribed by a licensed healthcare professional. It is also the aim of Pure Bio to provide ongoing educational development to the practitioners that register with us. We hold regular seminars, provide a monthly newsletter and supply practitioners with information on new products or improvements on the existing product-line. Pure Encapsulations & more . . . Pure Encapsulations (PE) products are of the highest quality, with manufacturing processes far exceeding the requirements for nutritional supplement manufacturing. PE pioneered the policy of full disclosure labelling and all products are stearate free. Furthermore, all powder-containing capsules are of vegetable source. Continual Professional Development training seminars. At Pure Bio we do more than just sell the purest quality products available to practitioners and patients. We also run training seminars aimed at showing practitioners how to test for inbalances in their patients.